Land Art Delft came into being as a succesful collaboration between the Delft University of Technology and Foundation World Art Delft, that is located in the authentic Dutch polder landscape at the verge of Midden-Delfland.To preserve this distinctive landscape with its characteristic dikes, peatery and meadows and to convey its intriguing history to the future generations, Land Art Delft aims to transform it into an art landscape. By enriching the green grasslands with artworks that are inspired by nature and the local history, it will become an unique recreational landscape, where art can shed a new light on the surroundings. 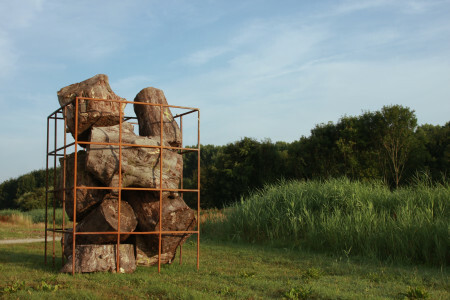 The collection consists out of modern sculptures, installations and land art from as well national as international artists, like the Japanese artist Kouji Ohno and the Dutch artist Roel Theeuwen. The art is located in the middle of a nature reserve and is always free accessible for visitors.